Chris shared with Allure how to get the extra sleek style. 1. Frizz is the enemy of sleek, so make sure you deep condition your hair before you start. He likes Colour Wow Security Conditioner, $22. 2. Once out of the shower, part your hair in the middle using the pointy end of a comb. Take your time here—you want the finish to be as clean as possible. 4. Iron with a flat iron, concentrating on keeping your ends poker-straight for a strong edge. 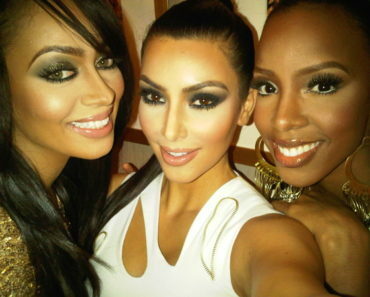 What’s funny is that Kim ditched her hair the same day Blac Chyna was seen with her super long hair. 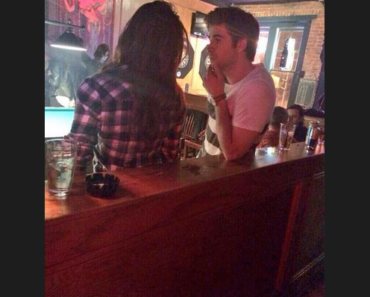 Liam Hemsworth and Nina Dobrev Dating? Nicole Scherzinger & Lewis Hamilton Split Again!